Thanks to everyone who completed the survey about what they'd like to see on my blog in 2013! Last week I was feeling a little depressed that fewer people were reading and commenting. But I received lots of good critiques on the survey - both positive and negative. It was sometimes difficult to read, but it's exactly that kind of honest feedback that I needed. This week I'm feeling very optimistic that I can use what I've learned to make my blog even more helpful for you! 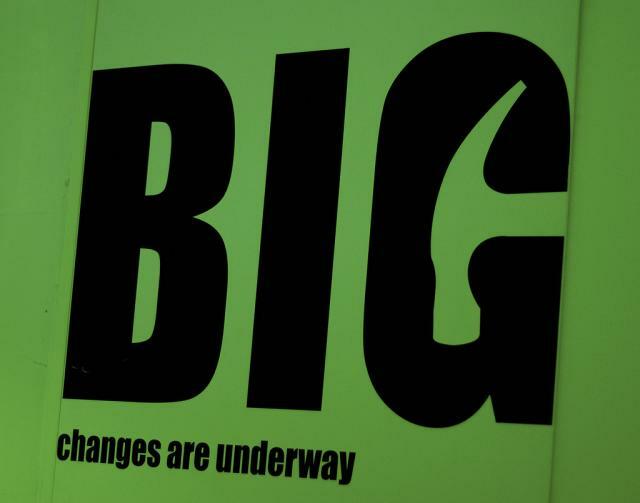 Today, I'm going to share the results of the survey and announce some changes and future plans. I spent a lot of time analyzing your responses and learned many interesting and unexpected things. Read more to find out what they are! Polish learners (13%) - They want advice specific to Polish and information about Polish culture. They DO NOT want information about American culture. General language learners (22%) - They want general advice for learning any language and would like less specific Polish/English advice and cultural information. I always knew that the first three groups existed, but the 3rd group is much bigger than I expected and the 4th group was a complete surprise to me! Making videos takes a lot more time and effort than writing articles. Lately, I've been so busy that I've had to take a break from recording videos. However, it's clear that most people want more of them! What surprised me is how many people want videos in English. Of those who want more videos, 80% want them in English. In the past my YouTube videos in English have gotten an extremely small number of views (hundreds) where my videos in Polish usually get thousands or tens of thousands. That's why I've done so few of them. In 2013, I'll record more videos and I'll even try some in English to see what happens! Many people requested that I write less in Polish and more in English. Or vice versa. However, for some time (since April of last year) I've been publishing all my articles in BOTH Polish and English and I plan to continue to do so! Apparently, lots of people don't see these links, so I've added a new link at the bottom of every article to its translation. Also, if you're a subscriber to my blog you can choose which version gets e-mailed to you. Click here to change your subscriber options. Get fewer e-mails... but more of what YOU want! It turns out that few people actually want to read everything that I write. Most fall into one of the four groups described above and only want to read certain types of articles. So, I've added more options for subscribers to allow you to choose EXACTLY what you want sent to your inbox. 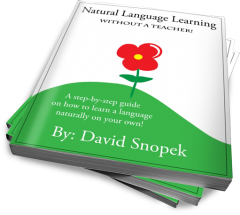 For example, if you say that you're interested in Language learning and you are learning English, I'll e-mail you articles with explanations of specific aspects of English (vocabulary, idioms, grammar, etc). If not, you won't get those e-mails! This means fewer annoying e-mails and more of what you actually want to read! Next week I'll start sending based on your choices, so please update your subscription now! This is the biggest change and the one I'm most excited about. It will give me the freedom to write on more specific topics, without worrying about alienating certain readers. It really means a lot to me that you took the time to fill out the survey. I'm looking forward to an awesome 2013! What do you think of the results? How about my changes? Please write a comment below! Thanks for all your effort in improving your site. It must be extremely difficult not to get immediate feedback in your endeavors. I am attempting to learn Polish. Over time I have I have signed up for several email instructions. However what I have found is that I do not have enough time to do justice to all the information that I am receiving. This year I am concentrating on just a couple of sites to see if that helps my learning experience. What I am looking for are Polish articles with Polish audio and an English translation. Videos are nice but must take a lot more effort to produce. I have similar problems! I recently subscribed to a whole bunch of marketing blogs and, while they all have good info, it's hard to deal with the flood of e-mails I'm getting about marketing now. ;-) I end up having to ignore most of them. I don't know if Piotr does English translations, but he's constantly publishing great Polish content with audio! My favorite videos of yours are these in which there's live action because it shows real life and how things in US are, for example the ones with Broszka. Maybe some videos with accent tips would be good idea? How from perspective of native speaker and Polish speaker we should change our pronunciation to better match your English accent. I think videos in Polish are better for you because you're pushed to use Polish however English videos are nice for me because I'm able to hear how you speak naturally. For example I love video where you shave your beard not because of beard but because there is real-life conversation between you and your wife. I think dialogs with her in English would be fantastic idea. What did you think of my "gun shooting" video? That one had lots of natural conversation and was lots of fun to "shoot" (a pun! - you shoot a video and shoot a gun). I'd love to do more similar ones! You're doing great job. I didn't find anything similar in the net. It's really kind of you to share with us yours tips and experience! "Surprisingly, a large percentage also want information about Polish culture. These are Poles who want to hear about Polish culture from the perspective of a foreigner. :-)"
Haha! I'm not surprised at all, I love hearing about how American culture is perceived by foreigners, especially those from highly dissimilar cultures (e.g. Japan, Iran, Turkey, Russia, etc.). I've thought about allowing people to customize which e-mails they get when they sign up (like having maybe 3 or 4 different series of e-mails and you get to pick which ones you want) but I suspect this would be a very complicated and time-consuming endeavor so I haven't really seriously looked into it, it's just been one of many noted "to-do"s for my website in the back of my mind. I'm really curious to see how you implement it. With regards to these three groups: people learning Polish, those learning English, and general language learners--you can typically write articles that will appeal to all 3, that is the article is either a general language learning article that's useful to anyone learning any language or it's a language-specific article that, although it focuses on one particular language, can still be easily applied to any other language with a few simple modifications and is therefore still useful to anyone learning any language, even though it's just a tiny bit more useful to those learning the language that it focuses on. In the past, I did what you are suggesting but I feel like it may have sometimes made my articles too generic. There really is something freeing about being able to unabashedly write directly to learners of English, for example. And, of course, people who want to read everything still can. I think you've exercised great user focus and should be applauded. 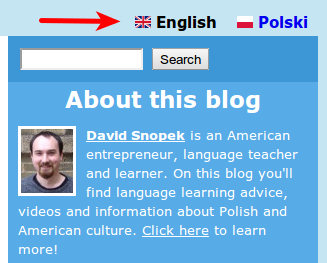 I am in the 'sweet spot' of users who are learning Polish and Polish culture. Well done and thank you! I've got some plans for some new Polish language and culture articles (based, of course, on the survey!) that I'll be publishing in the coming weeks and months. I can't wait to hear what you think of them! I agree. :-) I watch lots of vlogs in Polish. Because I do it for fun, it's hard to say exactly how much of an effect it's had on my Polish, but I'm sure it's had some positive effect! But I'll think about! If I can come up with a way to do it where it doesn't take a lot of time AND it still seems "alive" (I think a dead fanpage with no activity is worse than no fanpage) - then I'll do it. It seems like you have misconstrued my nationality. Ah, sorry! I saw "Krzysztof" and thought you were Polish. ;-) Take care!